Discover Arabian Horse with Club Cavallo Italia. Thank you. The Arabian Horse, naturally originating from Saudi Arabia, has also been used to create or improve other races all over the world, first of all the English Thoroughbred. The Arabian Horse is the result of centuries of selection and use in difficult climatic conditions that allowed survival only to the most resistant and courageous subjects. To this we add that the criterion of breeding Bedouin tribes has always been to use the fastest subjects and able to endure very long marches that often ended in actions of war where speed and daring were the difference between living and die. In fact, when the Europeans tried to improve their breeds they started the importation of stallions from Arabia to, in fact, cross them with their specimens. The Pure-Arabian which is the descendant of the three types mentioned above, is the horse we know as the Arabian Horse spread all over the world. The Arab race includes the specimens of oriental blood that, while respecting morphology and character the Arabic type, have in their family tree kinships with Berber, with the Arabian Persian and with the Syrian. There is no thoroughbred on the tracks of the whole world in whose veins the blood of the Arabian Horse does not flow and it can be safely asserted that today there is no equine breed, clearly of level, where the imprint imprint of the Arabian Horse is not present. In fact, the influence of the Arabian horse is still very evident, for example, in the races of Southern Italy (Persano and oriental derivatives in Sicily) and in the Sardinian Races. The Arabian Horse is fast, loyal and courageous and, if in the past it was the ideal horse for the army, today it is much appreciated and used in endurance races, for trekking and it is also used as a quick shot. The British developed the thoroughbred by making extensive use of famous stallions like Byerly Turk, Darley Arabian, Godolphin Arabian. Other countries like Hungary, Poland, France, Germany, Spain wanted to improve their breeds with Arabian stallions from even the deserts! From Messenger, an Arabian derived horse, the American Trotter Horse originates. A great deal of interest has focused on the Arabian Horse for over two centuries always aimed at the improvement of the native breeds rather than the breeding of the Arabian Horse in purity. He will certainly want to know why so much attention is paid to the Arabian thoroughbred Horse. To understand this, one must analyze its characteristics. Its height ranges from 145 cm to 160 cm (even if there are subjects of lower stature and even higher). His coat is short, fine and soft. The coat can be bay, gray, chestnut or black. His head is short, his forehead wide, his eyes huge and full of expression, his ears are fine and mobile, his neck is arched and his shoulders are well-inclined. The wide and short back, the depth and width of the chest are the signs of its strength. The Arabian Horse differs from other races by its constitution and temperament and because it is compact in its conformation and is also famous for its resistance. In fact, in the cross country races it has no rivals thanks to its particular metabolism. Arabic is also known for its wonderful availability, temperament and goodness, style and beauty, qualities associated with its great ease of learning. Even the stallions do not present particular difficulties and, in general, can be safely mounted even by children. Versatility is another formidable feature of the breed. Some selected subjects can run as fast as an English Thoroughbred, trot at the most marked gaits like a Hakney or a Saddle Bred, they can work the cattle as a Quarter Horse, hunt and jump like a Hunter, serve as a parade horse or pull elegantly a buggy, a carriage or a sled. 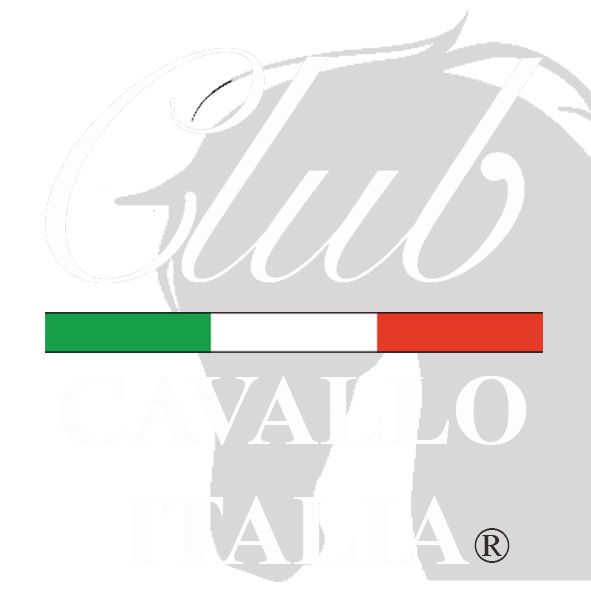 Just a moment, please: if you liked the Arabian Horse, send the page link to those who will appreciate it, we will be very happy and if you want to write us: info@clubcavalloitalia.it We always answer. Thank you again.